The first on-screen appearance of James Bond came with the “Casino Royale” television play on CBS’s Climax! 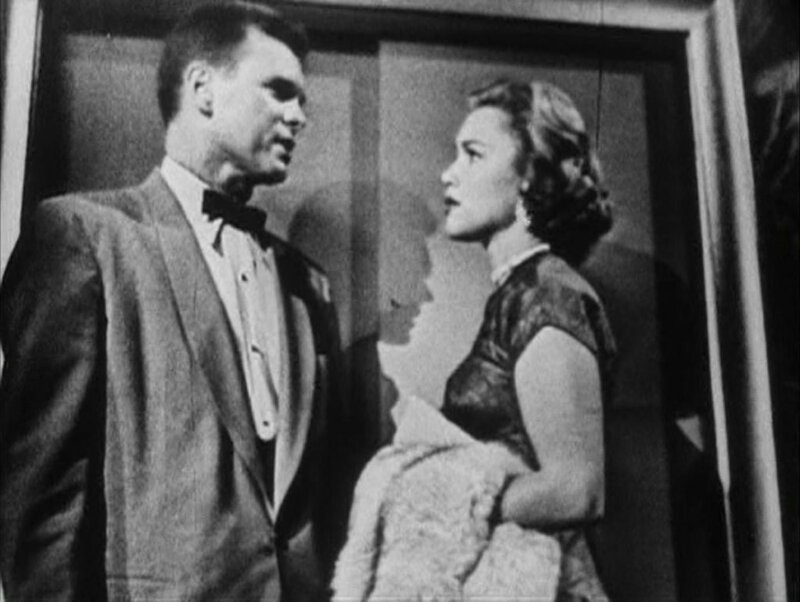 in 1954, with Bond played by American actor Barry Nelson. 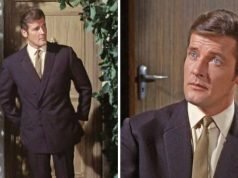 In this production James Bond is an American agent with “Combined Intelligence” and nicknamed “Jimmy.” But also, he isn’t the best-tailored character, wearing an oversized dinner jacket. 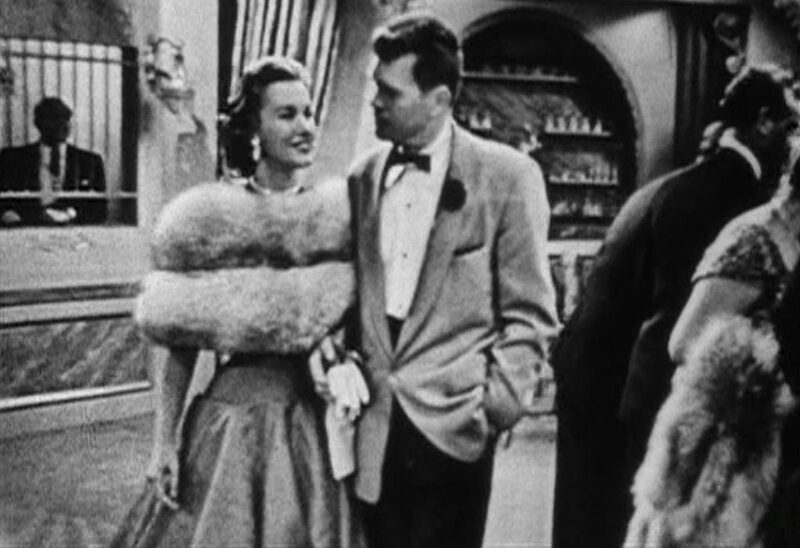 British agent Clarence Leiter (Michael Pate) in his black dinner suit and Le Chiffre (Peter Lorre) in his light-coloured, double-breasted dinner jacket both looked better tailored than Bond. 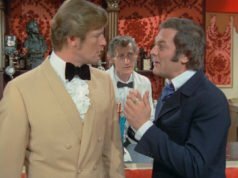 Bond wears a light-coloured dinner jacket, which has been coloured “buff” in cover art, and I concur with the artist’s choice of colour. 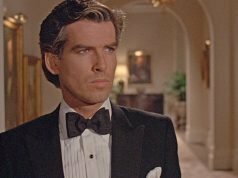 The dinner jacket is full-cut and very similar to the tailoring in Licence to Kill, with wide shoulders and a low button stance. The dinner jacket buttons one and has a shawl collar. It has no vents, jetted pockets and three buttons on the cuffs. The buttons are darker than the cloth, suggesting brown horn. Bond’s trousers are black and are most likely help with with braces. Sometimes you can see a hint of something dark under the jacket, and that is probably the braces. The shirt has a soft point collar, double cuffs and a placket front with 3 onyx studs, and the cufflinks match the studs. Bond wears a black satin batwing bow tie and a black satin cummerbund. 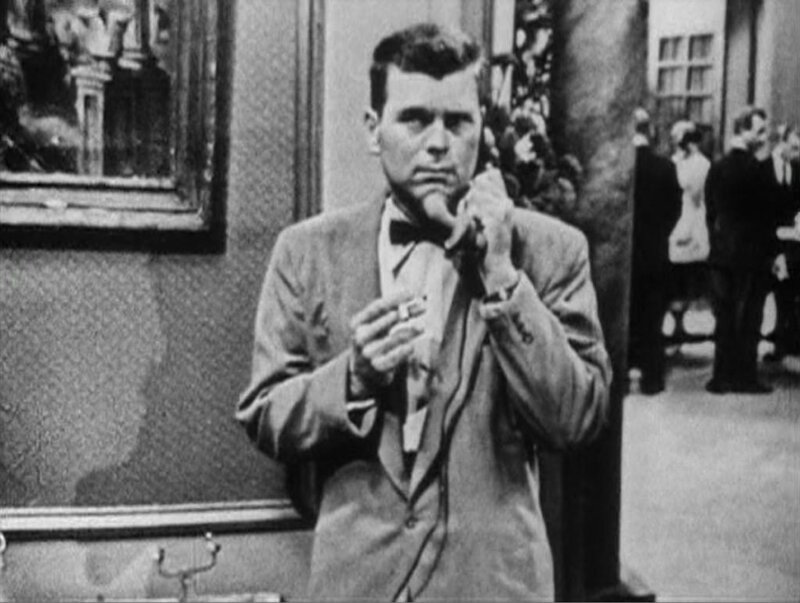 The flower in his lapel is most likely a red carnation, which doesn’t look so appealing on black-and-white television. He also wears a pocket square, which is either red—to match the flower—or black. Useful reminder when people rave about 50s style that it wasn’t all great. Especially in men’s wear where the end of cloth restrictions led to some overly baggy suits. Contrasted against Craig’s suits it shows that Aristotle ‘s mean applies– at least to suit sizes. Would this jacket be through same colour as the Burma shade that was popular in the 30s for warm weather black tie? Burma is more of a pale russet whilst buff is more like a pale yellow-brown. By the way, do you know why the casino manager is in tails ? Rather over-dressed for a casino in the 50s, isn’t it ? I did watch this when I had Netflix last year. 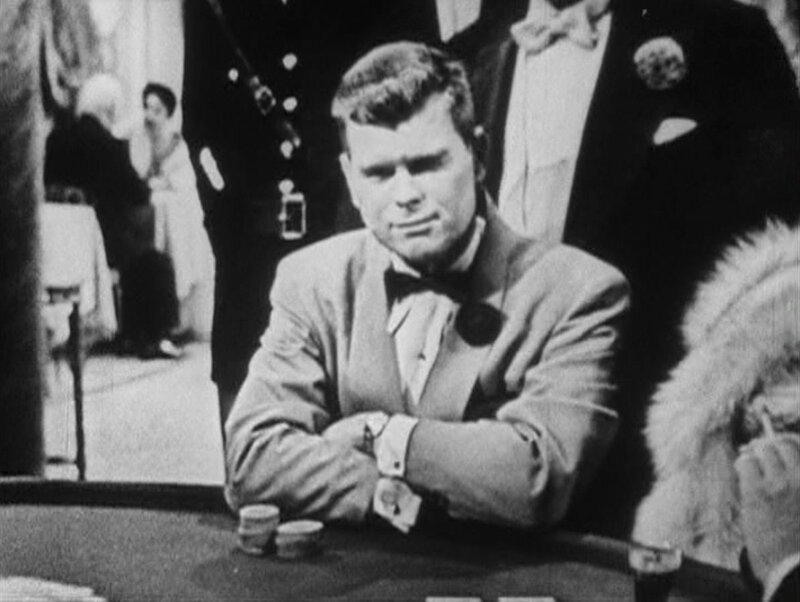 I remember Barry Nelson was trying way too hard to be cool. Maybe the next post will be about the great Peter Lorre?